An interview will be conducted for the post of Asst. Professors (Computer Science) , Asst. Professor(Physics) and Demonstrator(Mechanical) on 23-01-2019 as per the notification published above. M.Tech in relevant branch with 60% aggregate marks. First Class M.Sc in Physics. 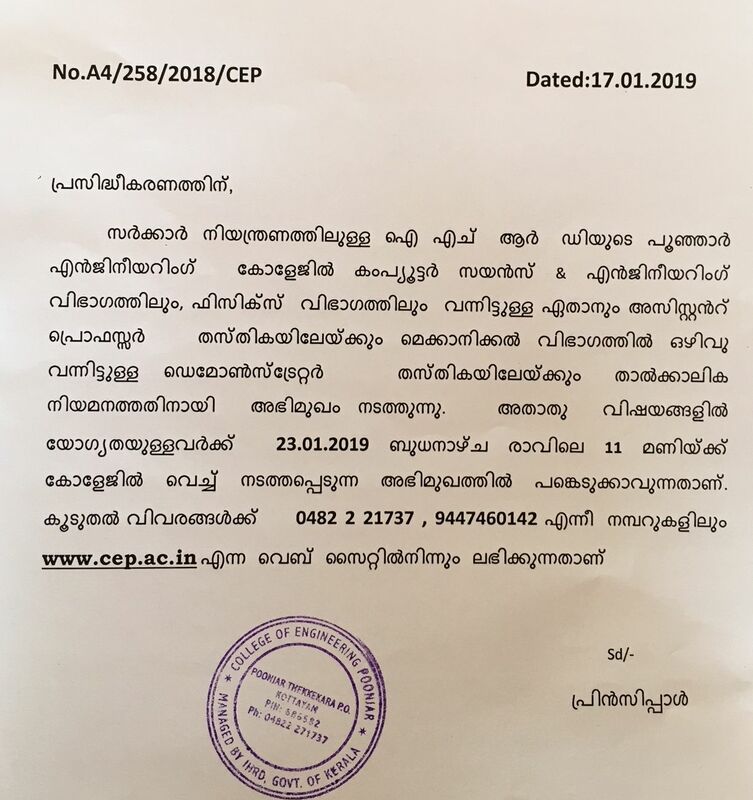 First class Three(3) years Diploma in Engineering / Technology (in the appropriate branch) from Director of Technical Education, Kerala or a qualification recognized as equivalent thereto by Government of Kerala.